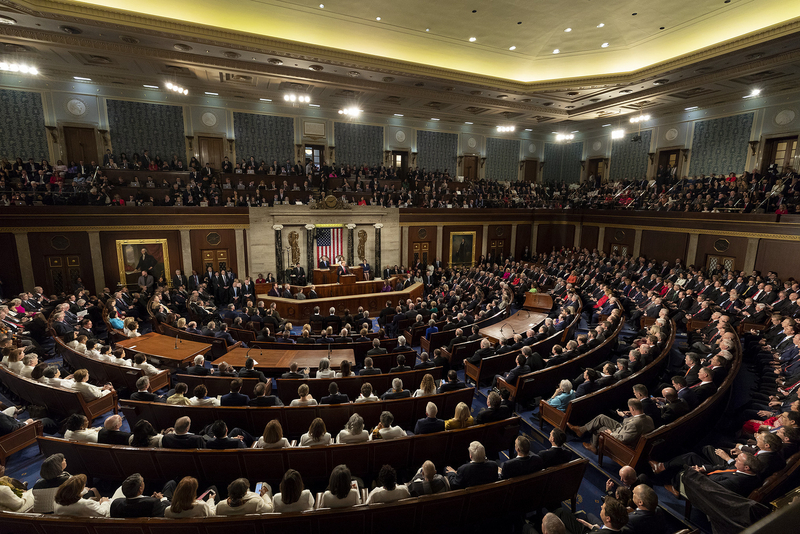 President Trump delivered his second State of the Union Address on Feb. 5, 2019. Photo: White House. “The president tried to create a unifying message that focused a lot on American history and American achievement, which I thought was really important and inspiring,” Sen. Dan Sullivan said. Sullivan also thinks Trump was helping to unify the country when he talked about the economy. “Everybody’s supportive of a really strong economy, and really low unemployment,” he said. That may be true, but Democrats took to Twitter last night to point out that the economic expansion continues a trend that began under President Obama, and that some of the indicators aren’t as positive as Trump says they are. “I think it was important to remind us of the greatness of who we are as a nation,” she said in a recorded video after the speech. Congressman Don Young declined an interview request Wednesday, but in message he recorded before the speech said he looked forward to Trump’s call to rebuild America’s infrastructure. In last year’s State of the Union, Trump asked Congress to pass a $1.5 trillion infrastructure program. When he later unveiled his plan, it called for most of the money to come from state and local governments, and private companies. In his address Tuesday night, Trump didn’t provide any specifics about what kind of infrastructure plan he supports or how he intends to pay for it, only that he’s eager to work with Congress on a bill.